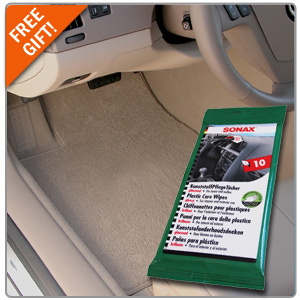 Give your car that new-car look once again with a custom set of Lloyd Floor Mats and receive FREE Sonax Interior Wipes! Last day to take advantage of savings. Promo ends tonight at 11:59pm PST!